The healthcare reform bill pending in Congress is called “America’s Affordable Health Choices Act.” It is supposed to provide “affordable, quality health care for all Americans and reduce the growth in health care spending.” Unfortunately, rather than reducing the growth of healthcare spending, it is likely to increase it. And if the plan leads to a government takeover of the healthcare system, the only way it could keep spending under control is by restricting access to healthcare, just as is done in Canada and many European countries. Americans spend 15 percent of GDP on healthcare, which is almost twice as much as what people in most other nations spend. This can be blamed on tax breaks that encourage most employers to subsidize the cost of their workers’ health insurance. Because most Americans pay little or nothing for each visit to a doctor or hospital, they consume more healthcare than they would if they had to pay the full price for each visit. The resulting higher demand with a limited supply makes healthcare more expensive. By requiring Americans to purchase insurance through “qualified” plans, the bills currently being considered in Congress will further increase the demand for and costs of healthcare. Each of these plans will be required to offer a minimum list of benefits specified by the secretary of Health and Human Services (HHS). This provision opens the door for interest groups such as drug companies, chiropractors, and psychiatrists to seek regulations that will enhance the demand for the products and services they provide. Do not be surprised if HHS requires qualified plans to include reimbursement for abortion, mental-health counseling, and other costly benefits. 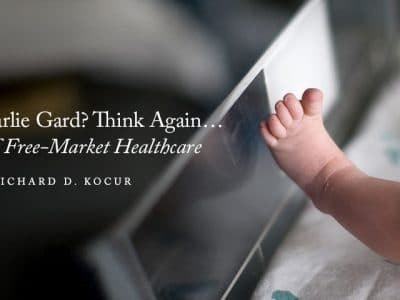 Although the plan includes measures that are intended to reduce costs, such as digitizing health records, plus added “investment” (i.e., spending) on preventive care, it will actually weaken the most effective method for controlling costs: individual choice based on the price system in a free market. In the current system, firms competing to attract workers have an incentive to offer attractive health benefits and to keep healthcare costs down. One way they keep costs down is by requiring employees to pay a greater share of the costs of doctor visits and other routine medical care. Unfortunately, such low-cost health plans that reward employees for keeping costs down may not be possible if healthcare reform passes, given that the House and Senate bills include provisions specifying the minimum coverage that firms must offer. One approach firms have used to reduce healthcare costs is to reward employees who pursue a healthy lifestyle. The bills Congress is considering would discourage this kind of innovation by prohibiting insurers from charging different premiums based on the health of their customers. 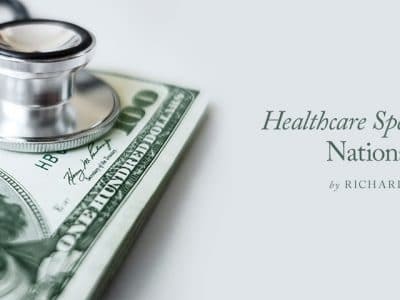 Another innovative approach that some companies have implemented to encourage workers to limit their spending on healthcare is offering Health Savings Accounts (HSAs). These plans typically include coverage for major medical costs and preventive care, while enabling workers to keep the money they save by limiting visits to the doctor and shopping around for less costly care. Coverage required by the plans Congress is considering will almost certainly be more costly than these innovative plans. And because mandated benefits will apply sooner to firms that change the coverage they offer, firms that do not already have them will not want to offer cost saving innovations like HSAs. The healthcare plan supported by the president promises much more than it can deliver. 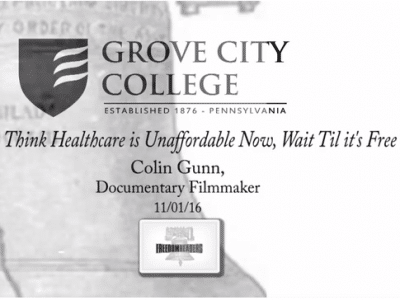 While proponents speak as if nobody will be denied access to healthcare, the reality is that in a world of scarcity, some method has to be used to determine how much medical care each person is permitted to consume. In a market, people choose the amount of healthcare they purchase based on their income and willingness to pay the price of insurance coverage and out-of-pocket medical expenses. Even if employers pay most costs of insurance coverage, workers’ job choices will reflect their willingness to pay for healthcare as long as firms have the freedom to decide how much coverage to offer. With greater government control, government bureaucrats, instead of individual patients and their families, will often be the ones deciding who gets access to treatment for a particular disease. The problem with healthcare in the United States is that the government already plays too large a role, distorting markets and reducing incentives for people to limit their spending. Nevertheless, the market operates well enough that the system in the United States controls serious diseases better than systems in other advanced countries. If Congress enacts “Obama Care,” people will lose the freedom to decide how much healthcare they are willing to pay for. If people lack the incentive to limit their consumption based on prices and cost, the government will have to choose between denying access to healthcare (for many Americans) or raising taxes and discouraging entrepreneurs from creating the high-paying jobs that have enabled Americans to afford some of the best quality healthcare in the world.